Don’t let the age of this keyboard fool you. For a 2007 keyboard, it has aged surprisingly well and it certainly remains a great option for those who want a small Bluetooth keyboard. Form Factor: Extremely size-efficient design. This is as small and thin of a keyboard I could possibly imagine while not having major compromises on functionality. I like how the battery pack itself is essentially used as a stand to create an incline. The keyboard is very light, easy to move around. It’s perfect for those that want more desk space, a keyboard they can carry in their backpack or for home use on their bed/couch/coffee table. Build Quality: Excellent. The chassis on the front is aluminum. On the bottom, it has a very smooth laminate-like plastic which makes it pleasant to carry. The keys themselves are some kind of plastic material which does not attract fingerprint marks. While lightweight, the aluminum gives it an overall density that makes it feel rugged. 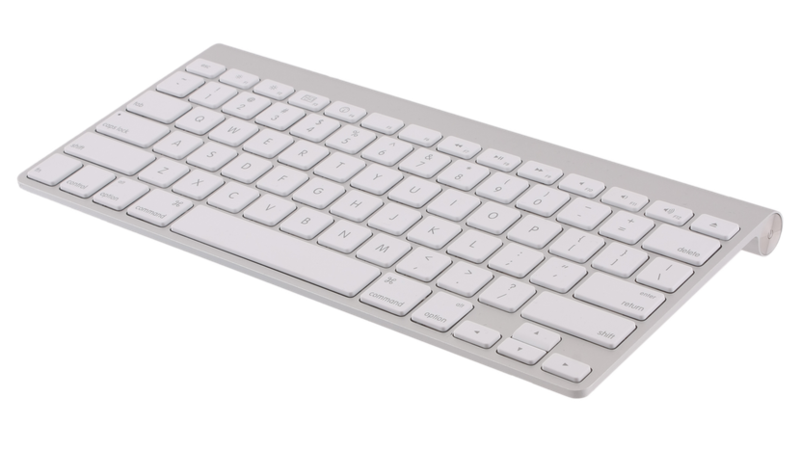 Keys: This keyboard has a Macbook-like layout. The number pad and other redundant keys are gone. I have no complaints on the layout except that I find the arrow keys to be a bit too small. The F1-F12 keys at the top are unfortunately designed for Mac commands, but Windows users can use some kind of app to remap them. The Command key on the Keyboard function as a Windows key. Features: There aren’t a lot of bells and whistle on this keyboard. The caps lock has a small LED light. That’s it. It would have been great if every key were back-lit, but I understand that it is an older keyboard. Price: The price does matter. The full $70-80 retail price is overpriced in my opinion. However, you can definitely find this keyboard on eBay and other sites for $30-35. At that price, it’s a great deal.